At the end of the year the Office of Statistics of Poland published information on the money spent in Poland by nationals from neighbouring countries. According to their report, from the period of July to September 2013 Belarusians spent $250m in Poland. Surprisingly, this figure per capita appeared larger than that of either Ukrainians or Russians. Due to the lower prices and better quality of goods, Belarusians from border regions, and even some from remote parts of Belarus, prefer to shop in Poland. This trend has damaged Belarus' own manufacturers and pumps foreign currency out of the country. This could be the main reason why the Belarusian government is delaying the signing of any agreements that would ease local border traffic control with Poland and Lithuania. Allowing a million and a half Belarusians to enter a 50 km area of the EU without a visa could deal a hard blow to the country. The government, however, does not turn down EU funding for cross border cooperation programmes that are implemented by the EU. In recent years these programmes have made considerable progress in helping Belarus' border regions to break out of their isolation. The local border traffic regime, which the EU has suggested to Belarus, will give citizens who live in a 50-kilometre radius on both sides of the border to have the possibility to move in this area without a visa. Belarus has already implemented such an agreement with Latvia, which has a comparatively small border with Belarus, though still refuses to do so with Poland and Lithuania. Lithuania has already gone through all the necessary procedures for the implementation of easing local border traffic controls with Belarus a few years ago, as did Poland. The authorities do not publicly explain their reasons for delaying the signing of these agreements, but they seem to be mostly tied to economics: the growth of cross border traffic will increase the inflow of cheaper and higher quality EU goods into Belarus, which will hurt local manufacturers. It will also lead to even more foreign currency being drained from Belarusian currency reserves, a serious problem for Belarus that it has been facing over the past couple of years. While such fears are warranted, Belarus also loses a great deal from its closed borders and inability to use the EU neighbourhood in order to benefit its own development. The tourism industry, the largest beneficiary of near-border destinations, is very weak and the number of tourists from neighbouring countries remains very low in Belarus. Despite the obstacles that arise due to very tight Belarusian border control, the EU continues to try to establish contact with their neighbouring Belarusian regions to promote their social-economic development and people-to-people contact. In 2007-2013, Belarus participated in the Poland-Ukraine-Belarus and Belarus-Lithuania-Latvia border crossing programmes, which embraced the whole western territory and even some parts of eastern Belarus. Around 90 trilateral and bilateral projects were implemented in total, with a budget of more than €220m. In the Latvia-Lithuania-Belarus programme, the Bella Dzvina project was recognised as being the most successful. Its name comes from words Belarus, Latvia and Dzvina, the river that runs through both Belarus and Latvia. The project included the Vitebsk region of Belarus and Latgale region of Latvia, and since 2012, the Utena region of Lithuania. It aimed to develop the cross border tourist infrastructure and spread information about the tourist potential of the regions. Deputy director of the EU-financed "Interaction" fund Maryna Barysava said in an interview to Eurobulletin that at the start of the project in 2007 it was very difficult to cooperate with the local Belarusian authorities. Project managers had to explain to them the importance of cross border cooperation as well as the peculiarities of EU funding and project management. Soon, however, they realised that such projects could really benefit the region's development. For instance, the Bella Dzvina project financed the creation of a solid tourist infrastructure in Polack, more specifically a tourist information centre, road signs and the names of important objects in English, which remains a big problem for tourists in Belarus. Considering the success of the project, both sides have decided to continue it and since 2012, Bella Dzvina-2 has been carrying out further work in supporting the further development of the project's next phase. To that end, in July 2013 the project held tourist festivals in all three regions, showing the project's viability and importance. In Belarus, it was Braslaŭ that hosted the sports and music festival “Viva Braslaŭ!” in the summer of 2013. The festival included a yacht regatta on Dryviaty lake, beach volleyball, football and kayaking competitions. The musical part of the festival consisted of a competition of young singers, a rock concert and a open dance floor. The local authorities did not expect so many people to participate and finally had to let them in without tickets. While local governmental officials were ready for critics to speak out against the event, they were pleasantly surprised to have received only positive feedback about the festivities. The programme for Poland-Belarus-Ukraine is the largest among the EU cross-border cooperation programmes with a budget of €186m for 2007-2013. The programme has three priority areas of cooperation: increasing the competitiveness of the border region (entrepreneurship, tourism and better access to the region), improving the quality of life (environmental protection and secure borders), networking and people-to-people cooperation. The programme embraces four out of six regions of Belarus, which border Poland and Ukraine. Apart from developing tourism, which remains a very popular project theme in the programme, it has implemented projects in other spheres. In 2012-2013, the Hrodna Clinical Hospital had some of its facilities renovated and received new equipment, the Brest region psycho-neurological hospital received funds for creating new departments for the treatment of alcoholism and drug addiction. Water management and purification facilities were built in the towns of Kamianiec and Vysokaje in the Brest region. The most costly projects were aimed at the reconstruction of border crossing points, such as at Piaščatka in the Kamianiec district. These programmes clearly benefit the local communities of Belarus, but on a national level some obstacles to cross border cooperation remain in addition to a strict visa regime. “Belarus looks like a blank spot on the map of cooperation, mainly because of the bureaucratised procedure for the approval of projects by the central government,” says a representative of the Belarusian Sports and Tourism Association Siarhei Kaliada. Foreign aid represents an issue which is subject to intense focus on the part of the authorities, which have not yet put aside Soviet schemes of working with their western partners. Although it remains unclear when the local border traffic with Lithuania and Poland will start, the EU cross border cooperation projects already benefit Belarusians. 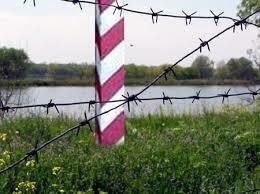 Quitely, authorities learn that Europe can be a helpful partner in resolving local problems of Belarus. Over the recent months the rate of economic growth in Belarus has been gradually declining. For eleven months the GDP grew only by 0.9%. A decline in industrial production had a detrimental effect on economic growth. Despite the decrease in production volumes, the level of finished goods in warehouses of enterprises remained high. Increases in retail turnover stimulated GDP growth. Despite the slowdown in inflation in 2013 in comparison to the previous year, the increase in consumer prices for the year will exceed established predicted values. 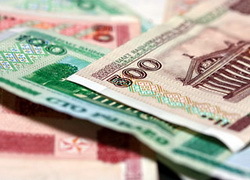 In connection with the accelerated rate of inflation in the second half of 2013, as well as to maintain a stable situation on the currency market and the banking sector, the National Bank decided to keep the refinancing rate unchanged till the end of 2013. In November-December 2013 the situation on the foreign exchange market remained relatively stable. Nevertheless, the demand for foreign currency by the population remained elevated at the end of November. At the end of the year it became obvious that inflation rates would go beyond their originally predicted values. In November alone, consumer prices rose by 1.6%. On an annual basis, growth in real prices reached 13.8% (with predicted values being set at 12%). In January-November 2013, the service sector saw the largest price increase , partly because of the rising cost of services that are regulated by the state. The accelerating growth of prices in the second half of 2013 contributed to the fact that the refinancing rate remained unchanged throughout the second half of 2013. The last time the National Bank lowered the rate to 23.5% was in June. Apart from inflation, this change is an indicator that shows changes in the both the foreign trade sector and the foreign exchange market. A decrease in the rate of refinancing signals the banks of the possibility of a decrease in interest rates on ruble deposits and loans. Such dynamics along with the low level of public confidence in the Belarusian ruble, accelerating inflation and increasing fluctuations of the Belarusian ruble against foreign currencies, may provoke an outflow of ruble deposits by the population from the banks. Moreover, these changes may serve as an additional stimulus for demand for foreign currencies by the population. In view of these risks, the National Bank decided to keep its current refinancing rate until the end of the year. At the same time, the situation on the currency market remained stable, while preserving certain negative trends. In November and December the smooth nominal devaluation of the Belarusian ruble continued. On 20 December 2013 the exchange rate of the Belarusian ruble against the U.S. dollar was 9,470 Belarusian rubles to every one US dollar. In recent months the dynamics of the Belarusian ruble was influenced by such factors as the acceleration of inflation, deterioration in foreign trade and the continued increase in demand by the population for foreign currency. In November the population purchased $237.2m in foreign currency. Since the beginning of the year the purchase volume exceeded sales volume by $1.9bn. Growth in demand for foreign currency by the population is explained by several factors. First of all, the wages increase in 2013 contributed to the growth of retail turnover including increased sales of imported goods. In addition, the low level of public confidence in the Belarusian ruble stimulated citizens to choose the U.S. dollar and Euro as their currency of choice for savings. In contrast to the increased demand for foreign currency by the population, foreign currency supply exceeded the demand on the foreign exchange market of business entities. Companies and organisations for eleven months in 2013 had sales amounting to $435.2m. At the same time value of this indicator is lower than the results of the previous year. Deterioration of foreign trade explains decrease in the supply of foreign currency. According to the preliminary information, the negative balance of goods and services in January-October 2013 was $712m, while in the same period of 2013 positive balance was equal to $3.7bn. Such factors as increased demand for consumer goods in the domestic market by the population, exports cessation of solvents and diluents, and the deterioration in the external markets had a negative impact on trade balance. Among positive factors, we can note an increase in net exports of consumer goods due to increasing food exports. Difficulties in the sale of goods, primarily in foreign markets, contributed to an increase in the stocks of finished goods in the warehouses of enterprises. In April 2013, the level of stocks in relation to the volume of production exceeded 80%. In the third quarter enterprises managed to slightly slow the growth of their stocks, but in October their growth resumed again. By 1 December, the level of stocks of finished goods for their monthly industrial output was 74.3%. The increase in stocks of finished goods occurs against a backdrop of a decline in industrial production. A reduction in the production from petroleum and chemical industries provided the main influence on the dynamics of this indicator in 2013. Textile and metallurgical production, as well as machinery, equipment and vehicles production reduced their output volumes. However, such industries as woodworking, electrical equipment manufacturing and food production demonstrated output growth.